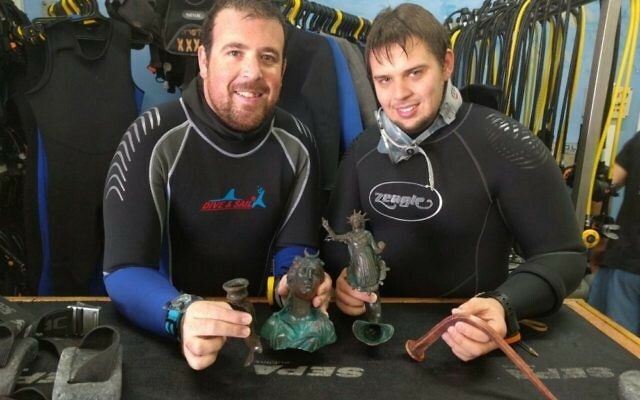 Divers Ofer Ra’anan (left) and Ran Feinstein show off some of the many bronze treasures, as well as more than 40 pounds of coins, they discovered in the seabed of the ancient port of Caesarea in Israel’s Caesarea National Park before Passover. The bounty came from a merchant ship that sank about 1,600 years ago under the Roman Empire. 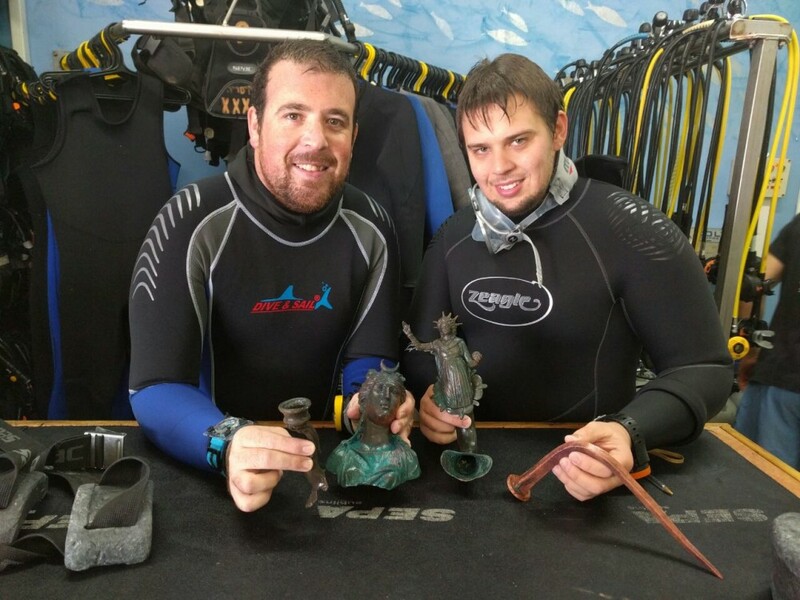 The Israel Antiquities Authority joined the pair for another dive that found the remains of the ship. The artifacts include a bronze lamp depicting the sun god Sol, a figurine of the moon goddess Luna, a lamp in the image of an African slave and fragments of life-size bronze statues. Jacob Sharvit, the director of the Marine Archaeology Unit of the Israel Antiquities Authority, and Dror Planer, the deputy director of the unit, said the ship apparently hit a storm at the entrance to the harbor, then drifted, despite an effort to drop anchors, until it smashed into the seawall and rocks.